I don’t know if I’ve mentioned this to any of you, but I’m fat. Why Is It All About Losing Weight? I didn’t start eating in a low-carb high-fat way just because I thought it was going to be healthy for me. 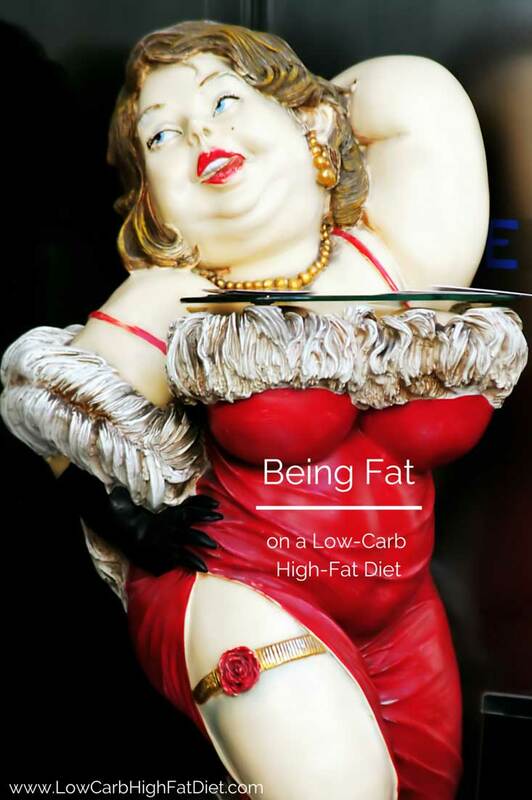 I started eating low-carb high-fat because I thought it was going to help me lose weight. Once I started, the experience of feeling free from the cravings for food motivated me to keep eating this way. But I never saw the kind of weight-loss benefits that I hear some people talk about when they discuss their experiences with low-carb high-fat eating. I recently read a fascinating article by a fellow who lost weight primarily through exercise. His experience of losing hundred pounds, getting down his “ideal” weight of 185, produced surprising results in his life. He realized that it didn’t change how he felt about himself. Even though he enjoys the compliments he receives after having lost weight, what he found out was that he really wishes he had been able to accept himself as he was. The science is still out on the actual impact of obesity on our health. There are some things that are indisputable, such as the wearing effects of obesity on joints, or the relative amount of work that person who is obese has to do to accomplish the same physical tasks that a smaller person could do more easily. I know that in my case, all of my blood tests, my blood pressure, and my general sense of well-being tell me that lifestyle I’m following is healthy for me. And I am fat. And I follow a low-carb high-fat diet. And that works for me. Not losing weight hasn’t stopped me from being attracted to this way of eating. I find the freedom from cravings and the general sense of vitality and good health so valuable in my life that it motivates me to keep coming back to low-carb high-fat, even when I take a break every now and then. Our society stigmatizes being fat, but it doesn’t put a stigma on being susceptible to cravings. I find that the cravings are much more inconvenient in my life than the fat has ever been. I’m curious how that works for you. Do you feel as if following a low-carb high-fat eating program isn’t working for you unless it also helps you lose weight? Let me know what your experience has been. I was wondering as to what kinds of low carb high fat foods you eat. Is it whole foods or processed? I started low carb high fat to lose weight,but then I felt better eating this way . I’ve always had a sweet tooth ,and eating like this takes that away .Thats a big deal to me because diabetes run in my family and I don’t want it .